Thinking of cruising or sailing a sea? There are hundreds of scenic routes out there but one exotic spot you should definitely consider is the majestic Sea of Cortez. Even the name sounds very adventurous and romantic doesn’t it? Situated between the coast of Mexico and Baja Peninsula, the Sea of Cortez is also called the Gulf of California. It has long been a favorite cruise and sailing destination. That’s because it houses an incredible number of marine creatures. The Sea is also surrounded by more than 200 exquisite islands, islets and coastal lands, which are inscribed together as a World Heritage site by UNESCO. A number of these islands are made into recreational and vacation sites for visitors from all over to enjoy. One of the notable islands is the Los Islotes, also called Isla San Francisco. It is home to a sea lion colony. It has the tallest cactus in the world – the Cardon. Another beautiful island in the region is Bahia Agua Verde. 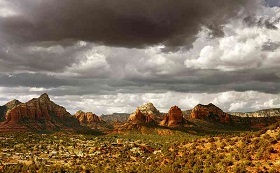 It is known for its picturesque vistas, canyons and crystal clear waters. Isla Cayote, on the other hand, is the only island that is permanently inhabited by a small tight-knit community. One of the ways to truly experience the magnificence of the Sea of Cortez is to book a cruise adventure trip. 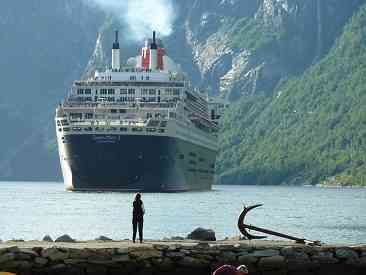 There are a couple of established cruise companies that offer various itineraries. They focus on the exploration of the Sea and its surrounding islands and coastal towns. The Carnival Spirit operated by the Carnival Corporation typically stops at two of the Sea’s more popular ports. These are Cabo San Lucas and La Paz. Holland America offers a longer itinerary which features places like the Puerto Vallarta, Guaymas, Loreto, Topolobampo and Mazatlan. These cruise companies offer passengers activities and excursions. These include fishing, kayaking, paddle boarding and ATV riding at each port of call. Whale watching is also one of the highlight activities offered on a cruise around the Sea of Cortez. However, if you want a more intimate and in depth expedition of the Sea of Cortez, consider booking with the American Safari Cruises. The company’s cruise ships are more like luxury yachts, which only carry 22 passengers. Their itinerary is focused on eco-friendly activities such as wild life viewing, snorkeling and hiking on some of the islands. Aside from seeing the usual marine animals like sea turtles, seals, and dolphins, you can also watch up close various species of birds. The region is a remarkable migration spot for millions of sea birds. This cruise also provides the opportunity for you to meet people from some of the local tribes that inhabit the area. A superb alternative to mainstream cruising is sailing on a private boat. If you don’t own a boat, don’t despair – there are tour operators in the area that are very willing to arrange a sailing excursion for you. The great thing about sailing this way is that it gives you more freedom when it comes to the choice of places to visit. You also have more time and duration of such visits. Beside the usual all-day sailing expeditions, you may want to try out full moon sailing. 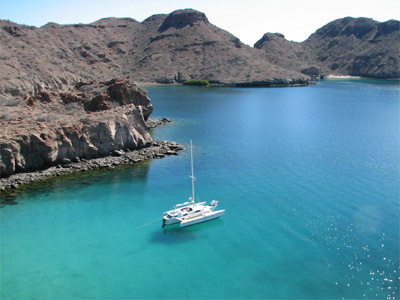 That allows you to discover the beauty of the Sea of Cortez in a different way. You can also make a stopover at one of the little communities surrounding the island. Treat yourself to cold beers, homemade tortillas and freshly caught fish and clams. The locals will even cook them for you. The region is home to a unique and abundant ecosystem which provides for plenty of fun activities for every tourist. A wide variety of endemic creatures as well as migratory species reside in the narrow seas of Cortez. The killer whale, humpback whale, blue whale, manta ray and leatherback sea turtle are just a few of the sea animals that can be found here. Because of this, fishing is one popular activity that may be included in your itinerary. That’s especially true if you go on a private cruise. In order to explore more with these unique sea creatures, you can go on snorkeling. You can also swim or dive to get closer and interact with the animals. This heritage site is also popular for sport fishing activities and has a history of winning world records. There is an abundance of the marine life in the region. The Mexican government has been creating conservation and preservation programs. They help to uphold the balance of the ecosystem and to keep the livelihood of the coastal inhabitants. 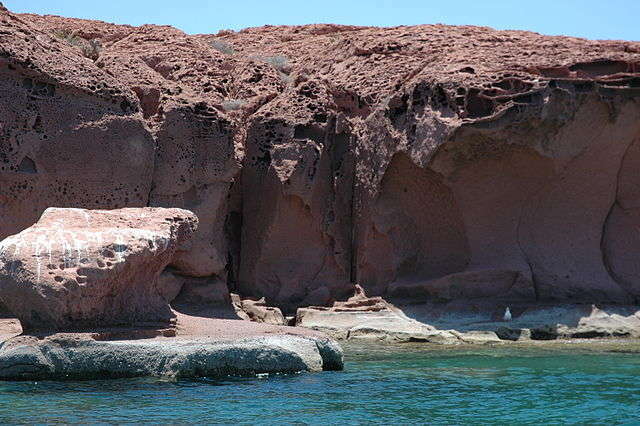 Most of the islands around the Sea of Cortez are believed to be the result of volcanic eruptions. They happened in the earlier days of Baja California. The islands are home to volcanoes, desert and scenic mountains. Tourists can go hiking, biking and even meet the locals to learn more about their culture and lifestyle. If you are staying overnight, there are various accommodations within the area that offer affordable rooms to stay. You will be able to explore the region’s nightlife and enjoy cocktails and local dishes while interacting with the locals. Welcome to Inner Space. Seven decades ago, in March 1940, the author John Steinbeck and his friend, marine biologist Ed Ricketts, sailed down the coast of California and Mexico to the Sea of Cortez. “The abundance of life here gives one an exuberance,” they wrote, “a feeling of fullness and richness.” Their stated purpose was to document the creatures that inhabit shallow waters and tide pools on the margins of the Sea of Cortez. But it became much more. In these mysterious, phosphorescent waters they sought an understanding of mankind’s relationship to the natural world, and a wellspring of hope for a world headed toward war. Looking beyond the events of the day, the two friends foresaw our rising impact on the oceans, and the devastating impact that over fishing would have on this rich sea. And yet, in their journey, they encountered a periodic cooling of the eastern Pacific Ocean known as La Niña that can still set off an explosion of life. 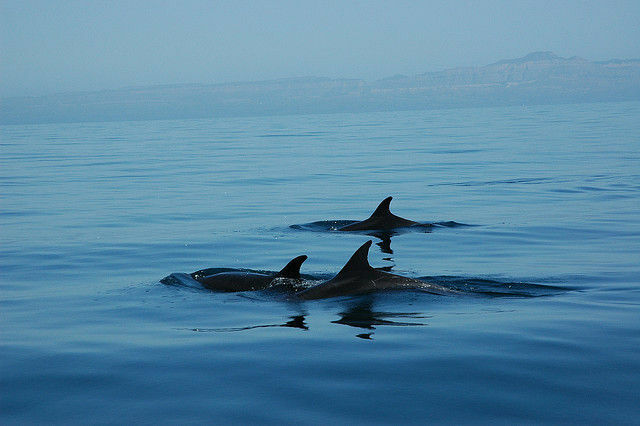 Can the story of their journey inspire new efforts to preserve the Sea of Cortez? If you’ve been there to the Sea of Cortez please leave a comment below about your experiences. Take this quiz about Cruising the Sea of Cortez and see how much you’ve learned or remember. This Travel Quiz is about Cruising the Sea of Cortez. 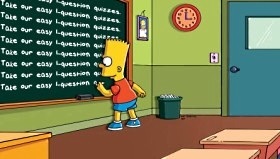 There are 5 question in this true or false quiz. The level of this quiz is easy. The Sea of Cortez is a potential adventure you might want to take if you enjoy doing adventurous things. Thanks for taking this quiz on Cruising the Sea of Cortez. Sea kayak Baja on this kayaking trip of a lifetime in Loreto on the Sea of Cortez. See dolphins, sea lions and if you are lucky – whales! Sea kayaking over blue waters, beach camping, and viewing incredible sunsets on your next visit to Baja. On this leg of the adventure, Jatta and I meet up with our friends Mike and Nicole on their beautiful Nordhavn yacht, “Sloboda.” Together, we cross the Sea of Cortez in search of the fabled Isla Isabel. The legend delivers when we arrive at this stunning island, complete with rare wildlife, beautiful reefs, and rugged landscapes. Why are so many unique marine species restricted to the northern Sea of Cortez? For years scientists have recognized that the Sea of Cortez, the long sea that sits between mainland Mexico and the Baja California peninsula, has been home to many species of marine animals that are found nowhere else on earth. I’m interested in how and why this relatively small area of the ocean is home to so many unique species. In order to learn more about this, I study a type of fish called a mudsucker to see how its genes have changed over time. These changes can be caused either by natural selection or from the physical separation of different individuals of the same species. To figure out which processes may be most important in the Sea of Cortez, my work looks at patterns in the DNA sequence of mudsucker genes to see how and when different species of mudsucker have formed over time. Thanks for taking this quiz on Cruising the Sea of Cortez. Want to know how you did with the quiz? Situated between the coast of Mexico and Baja Peninsula, the Sea of Cortez is also called the Gulf of California. True. The Sea is also surrounded by more than 200 exquisite islands, islets and coastal lands, which are inscribed together as a World Heritage site by UNESCO. The island called Bahia Agua Verde is home to a sea lion colony, and the tallest cactus in the world – the Cardon. False. It is Los Islotes, also called Isla San Francisco. Bahia Agua Verde is known for its picturesque vistas, canyons and crystal clear waters. Puerto Vallarta, Guaymas, Loreto, Topolobampo and Mazatlan are part of a longer itinerary which you can experience when you book a cruise adventure trip with Holland America. True. Another cruise adventure trip is offered by The Carnival Spirit, and typically stops at two of the Sea’s more popular ports, Cabo San Lucas and La Paz. Fishing is prohibited in the Sea of Cortez. False. Fishing is one popular activity that may be included in your itinerary especially if you go on a private cruise. True. In order to explore more with these unique sea creatures, you can go on snorkeling, swimming or diving to get closer and interact with the animals. cruising, Heritage Site, Sea of Cortez. Bookmark.